Minister of Education, Dr Matthew Opoku Prempeh, has not awarded a contract for the procurement of new school uniforms for Junior High School pupils to any relative or cronies, the ministry of Education (MoE) has said. 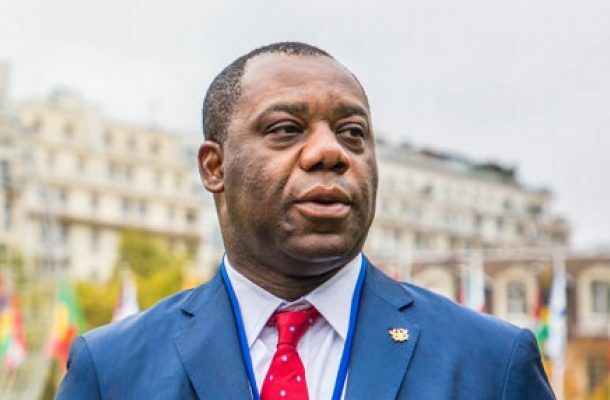 In a statement signed by the Deputy Communication Director at the Ministry of Education, Kwasi Obeng-Fosu, which was released on Friday, 12 April 2019, said: “The Minister wishes to state emphatically for the avoidance of doubt that the story is false, without merit and the figment of someone’s imagination, designed to cause disaffection towards him”. News went rife on social media alleging that Dr Prempeh had awarded a purported $350 million contract to his relative following the launch of new school uniform for JHSs by the Ghana Education Service (GES).